APRIL 20-27 STILL AVAILABLE DISCOUNTED RATE! 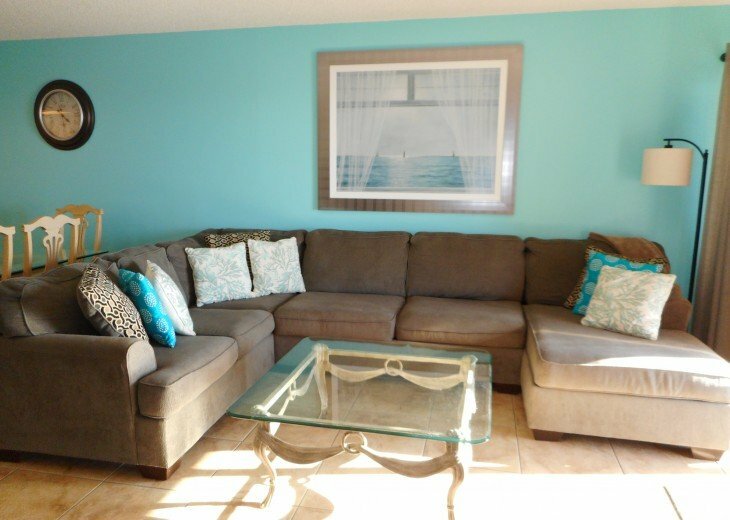 Lovely, modern 3 bdrm / 2 full baths + 1/2 bath - SPECTACULAR VIEW! 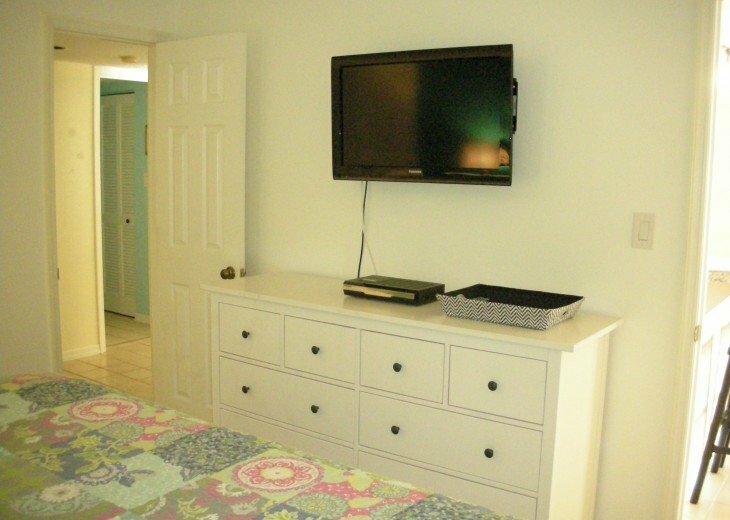 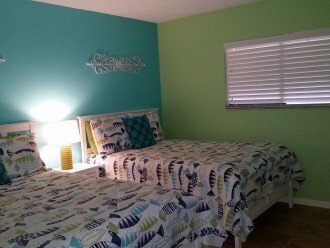 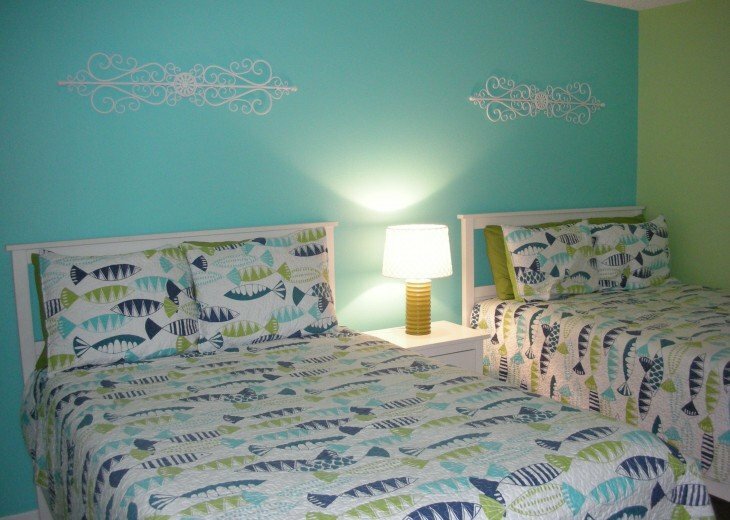 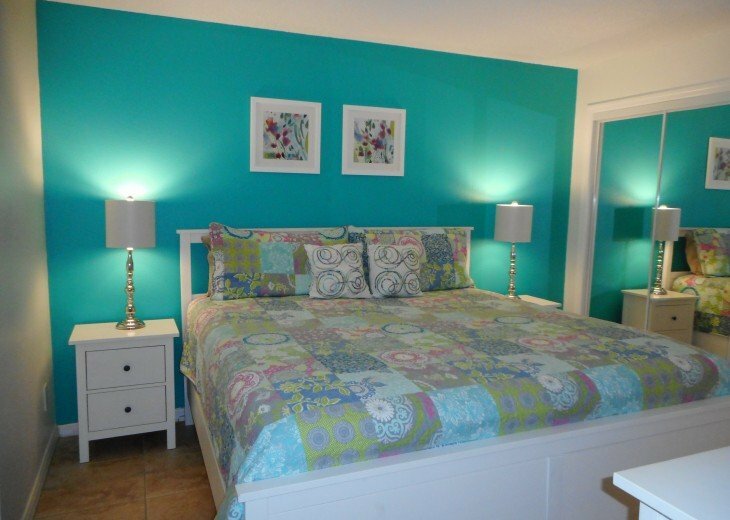 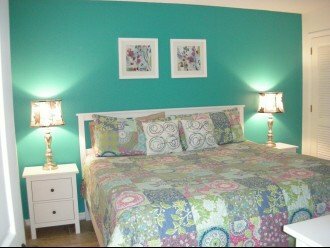 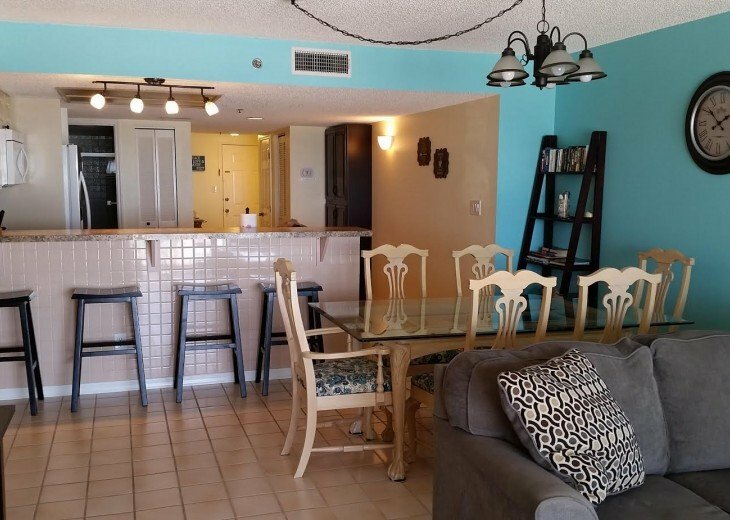 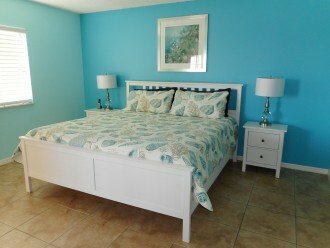 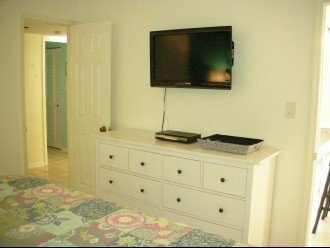 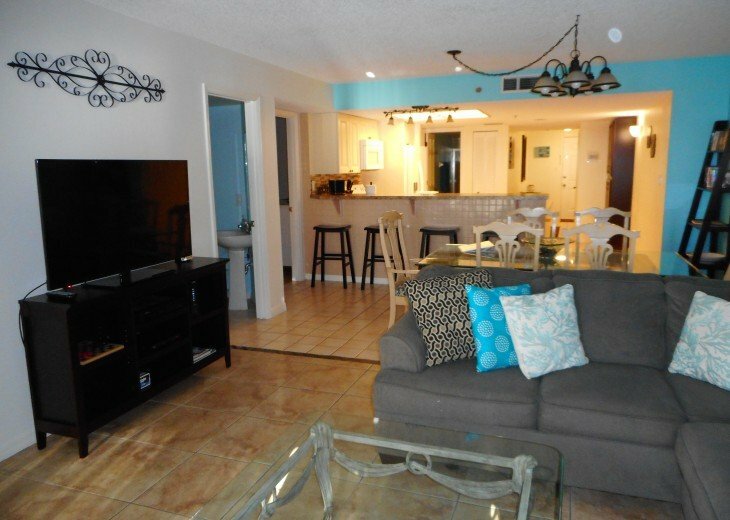 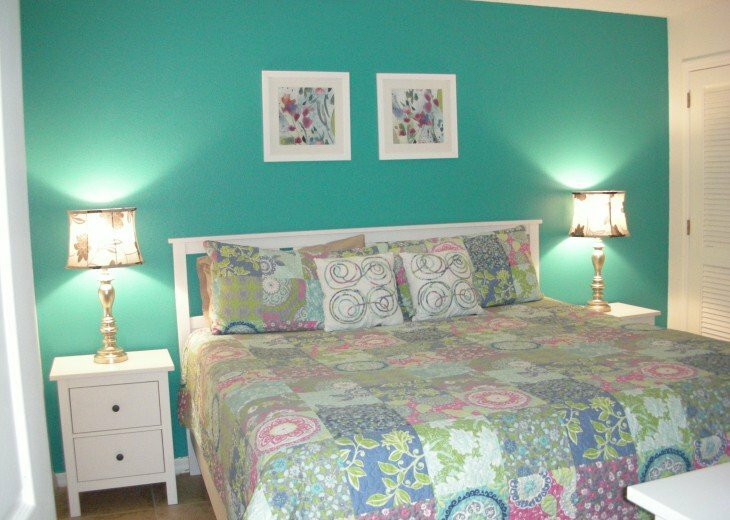 The condo is large, gorgeous and sleeps up to 8: 2 king beds, 2 full beds. 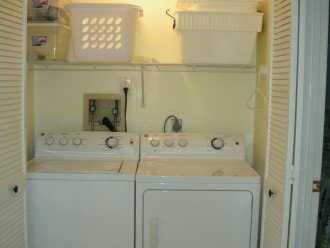 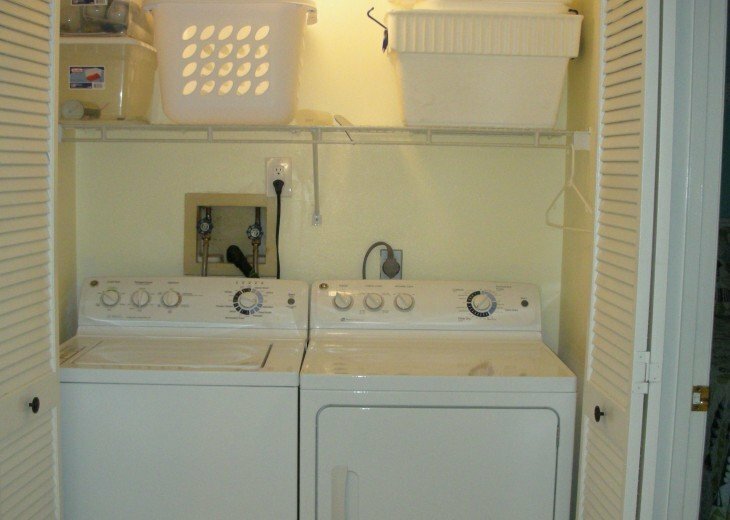 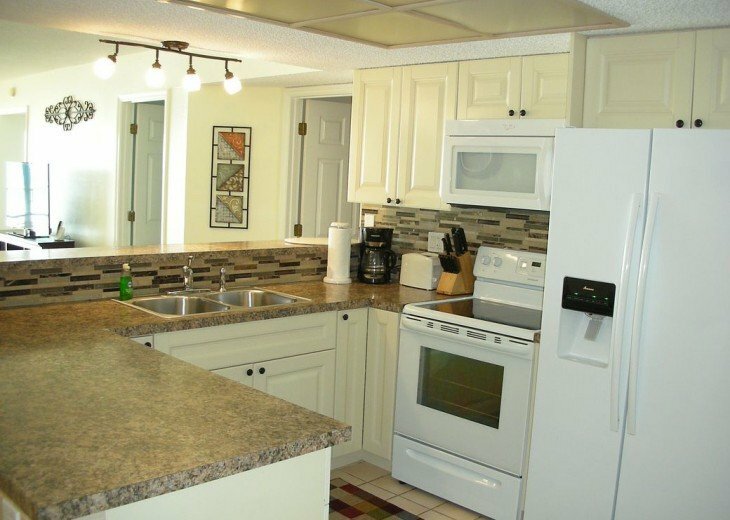 Completely equipped kitchen, all modern appliances including dishwasher / washer / dryer. 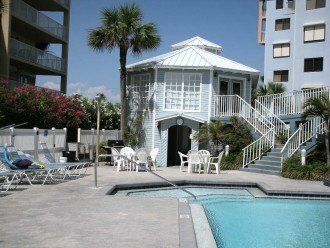 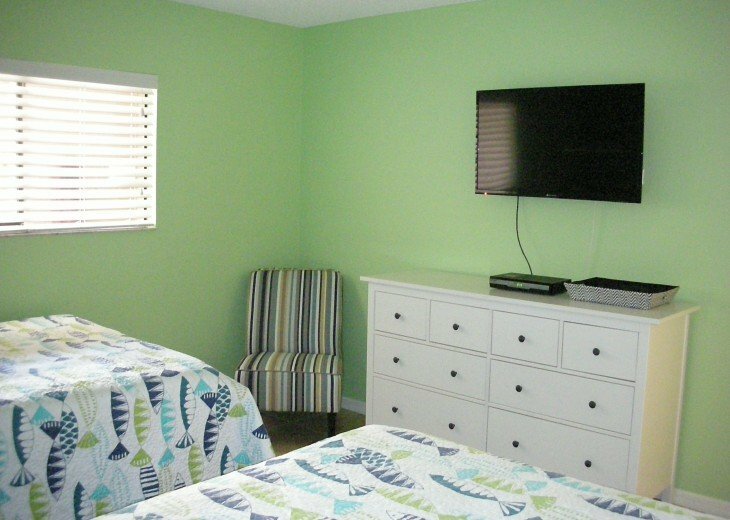 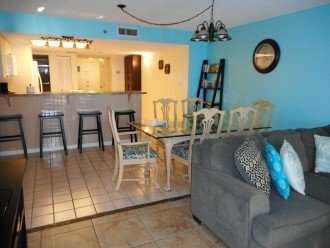 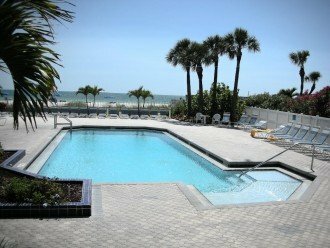 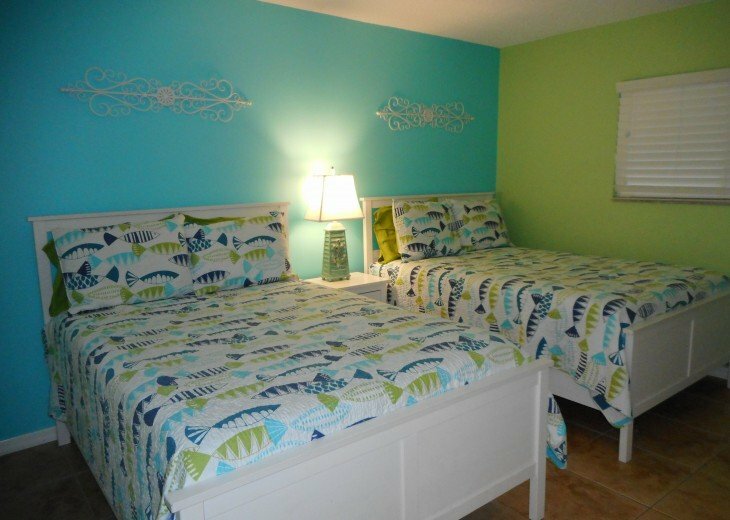 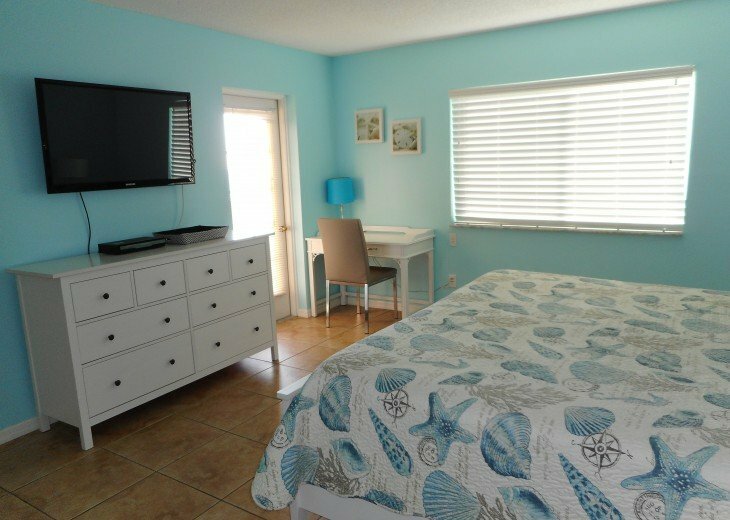 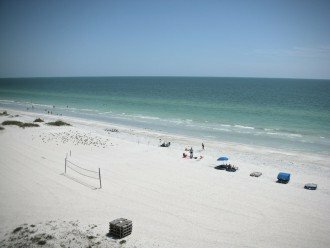 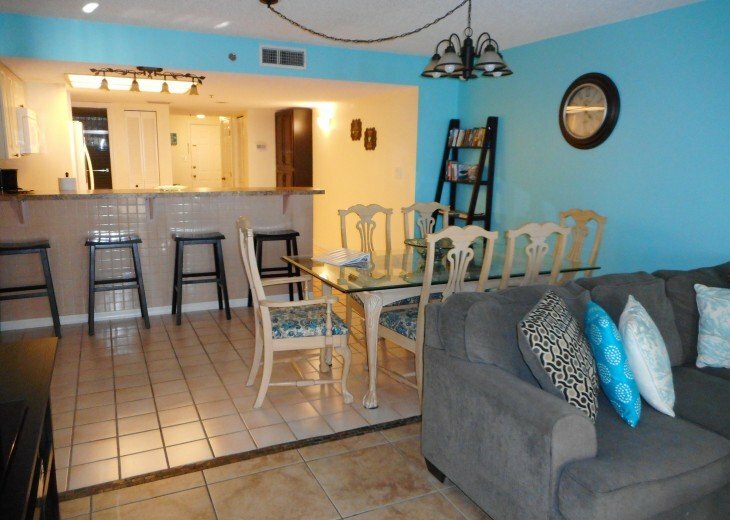 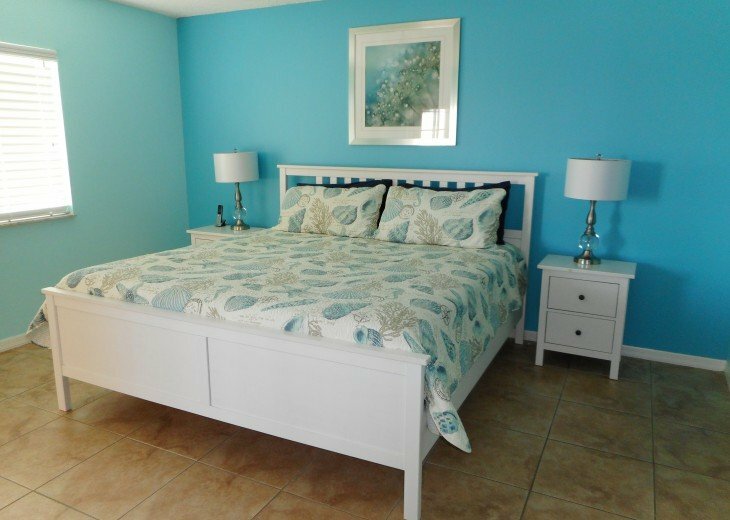 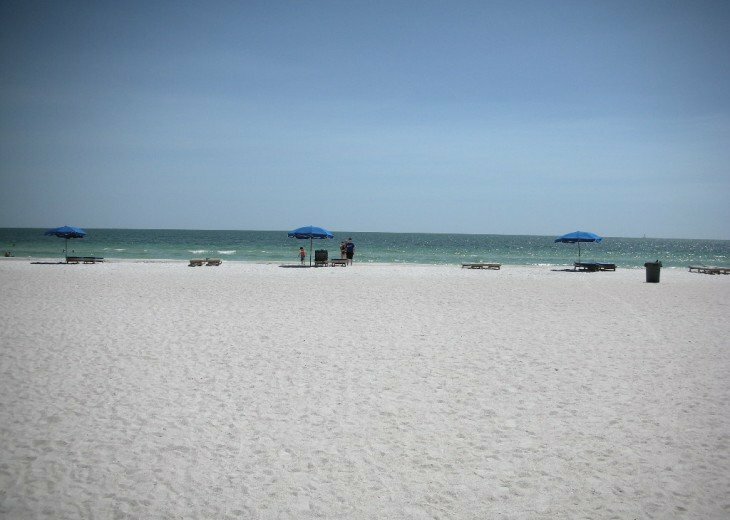 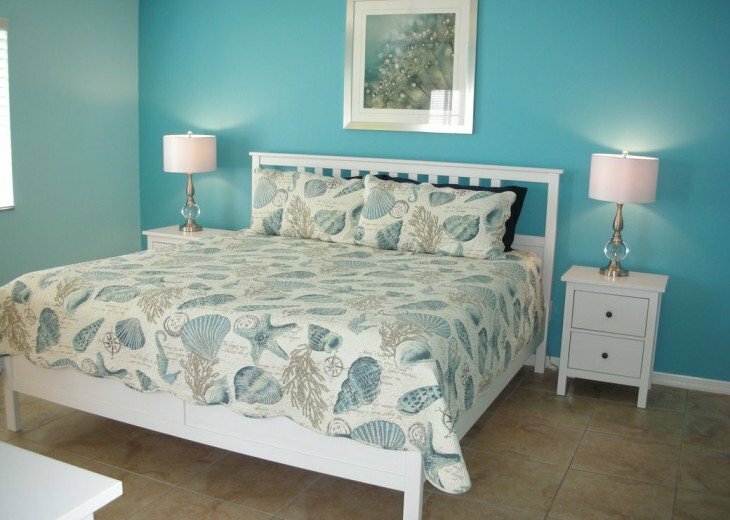 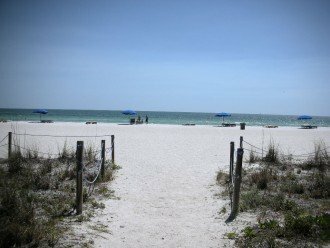 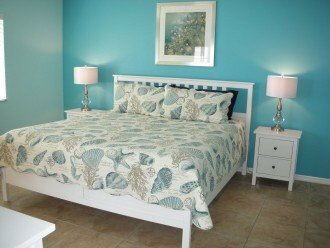 salt water heated pool, grills,deck furniture, and private entrance to beach. 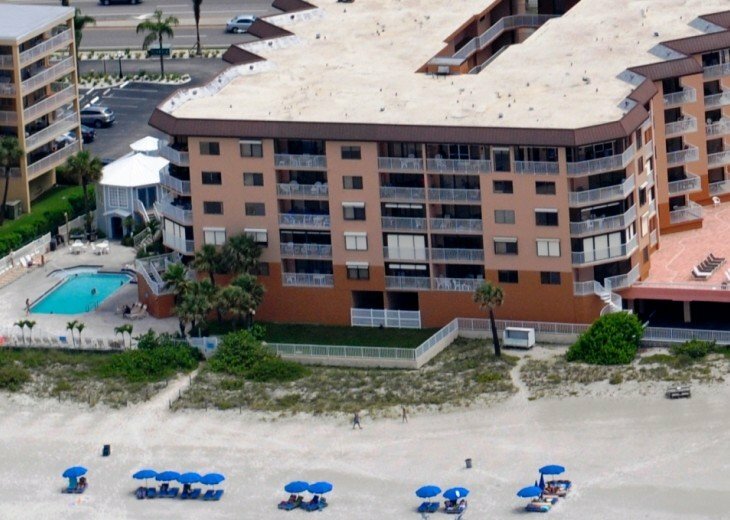 Reserved covered parking and guest parking. 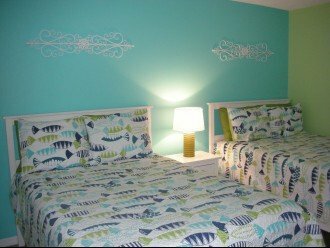 Sorry - no pets allowed. 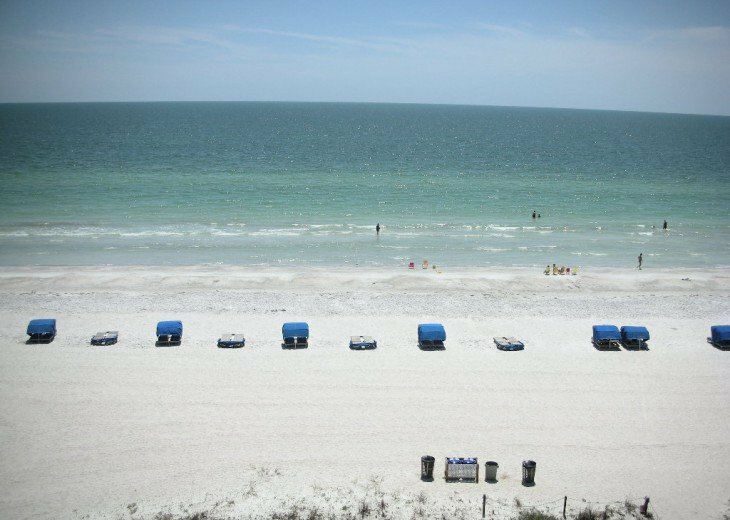 one week stays only. 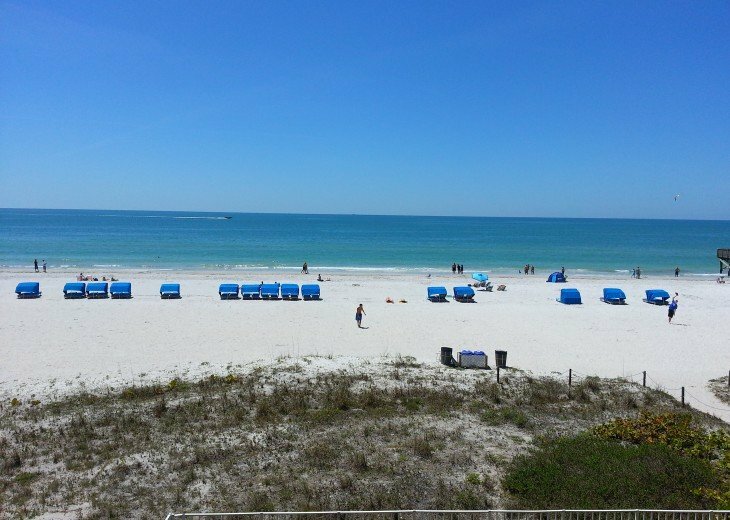 SAT CHECK INS ONLY - exceptions made in low season (Sept - mid December) you can stay for a wk or more as long as you check-in on a Saturday. 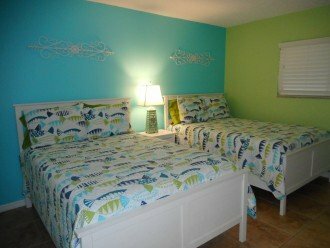 There are 3 nice sized bedrooms, 2 of them have king beds and the 3rd has 2 double beds. 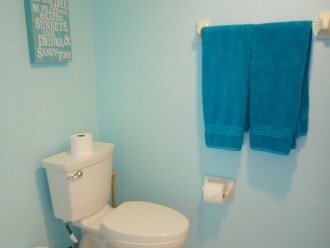 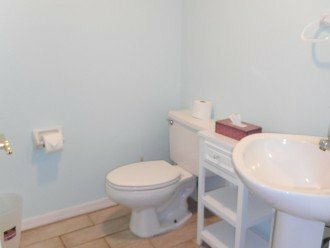 There are 2 full bathrooms plus a 1/2 bath "powder room". 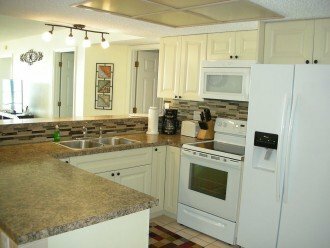 Everything is modern and up to date, CLEAN and stylish. 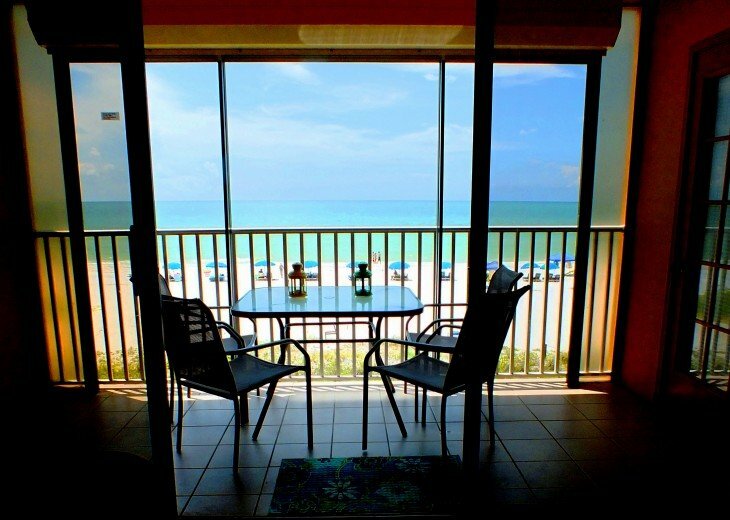 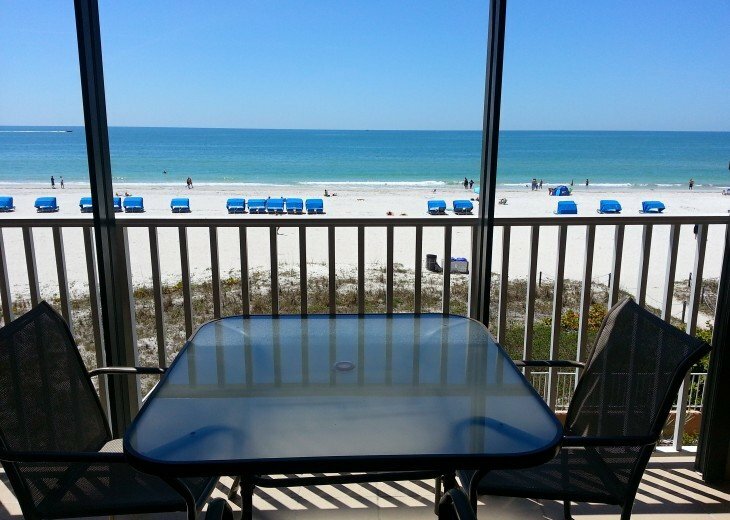 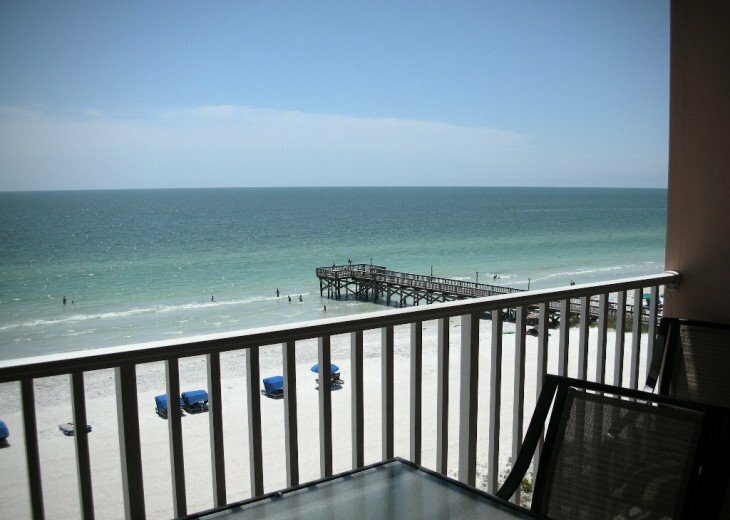 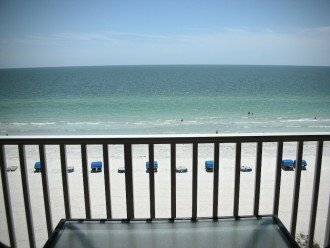 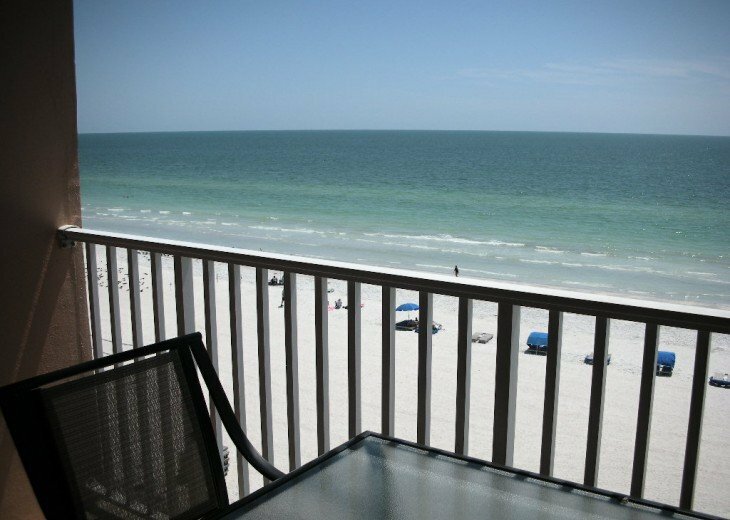 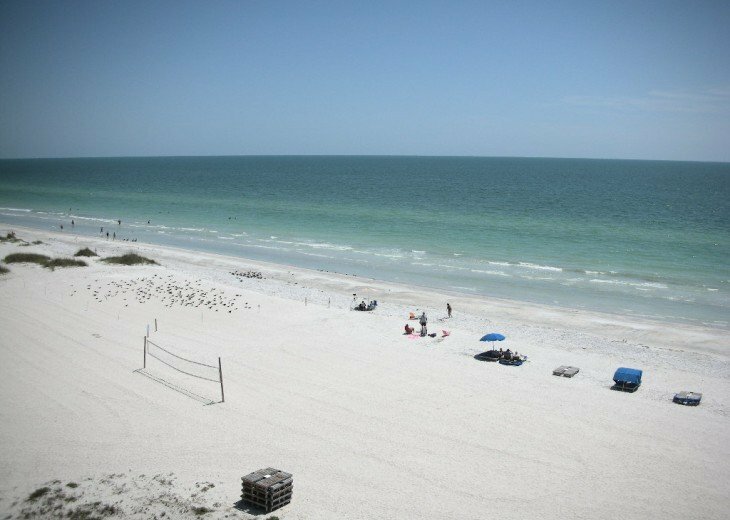 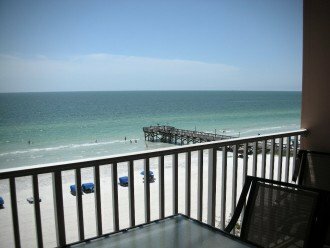 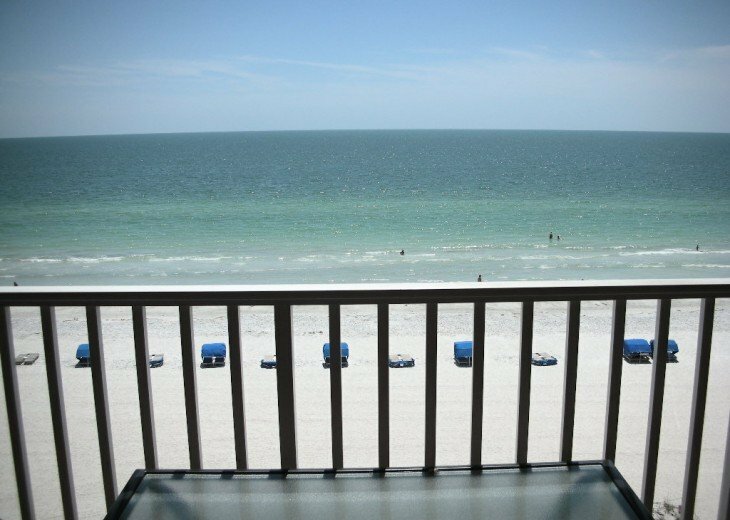 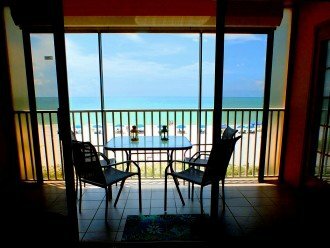 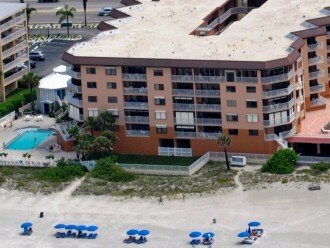 The balcony has a direct view to the Gulf of Mexico which can be seen from inside the condo as well. 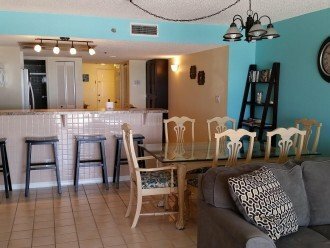 A GREAT CONDO! THE BEACH, THE POOL, THE VIEW LOVEY CONDO, MODERN AND VERY PRETTY! THE POOL, THE BEACH, THE TOYS and lots of room! 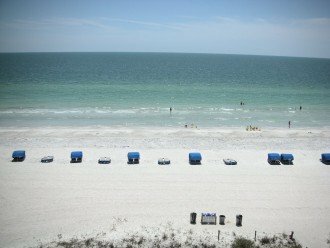 Best to have a car to see all of the sights - and there are many things to see here! 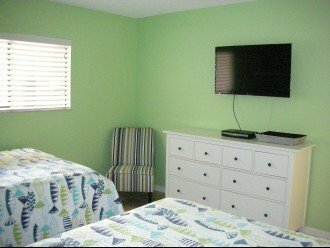 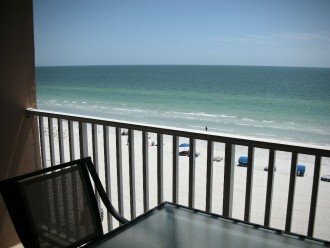 Fifth floor condo facing the gulf with a full wall of sliders that open all the way to a deck to relax on while watching for dolphins! 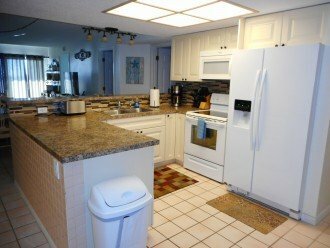 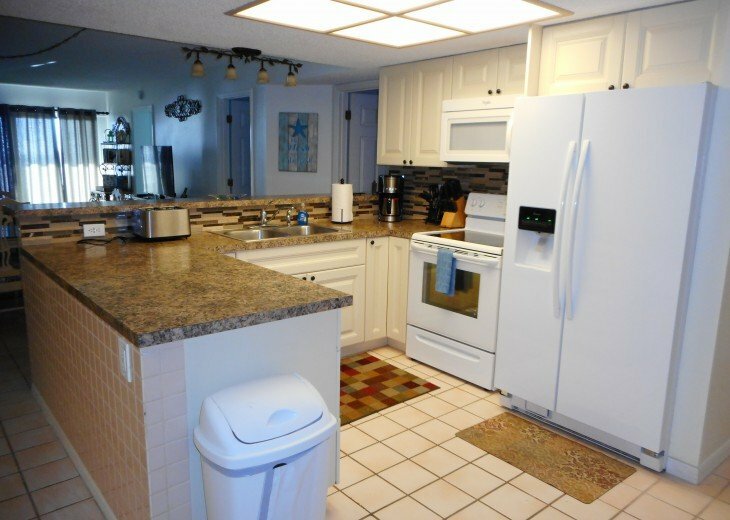 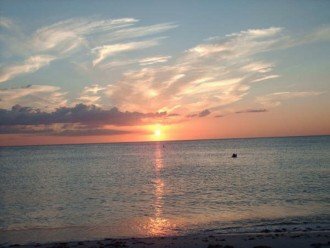 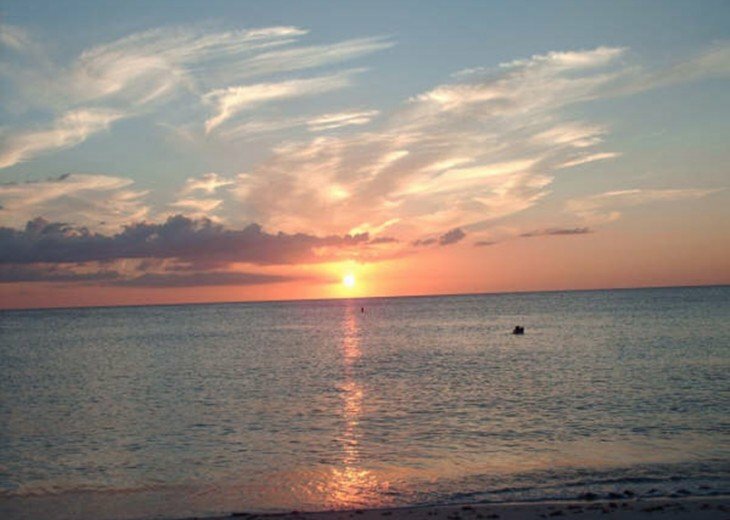 Gorgeous sunsets every evening in Indian Shores while cooking in a newly renovated kitchen. 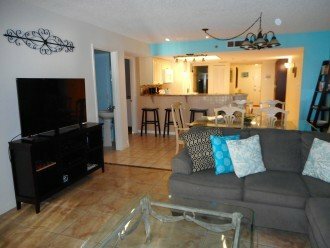 This three bedroom condo has plenty of common space room as well for the family to enjoy together. 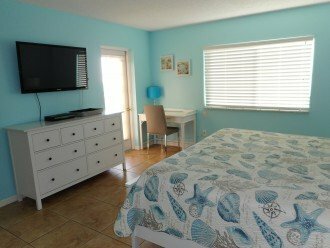 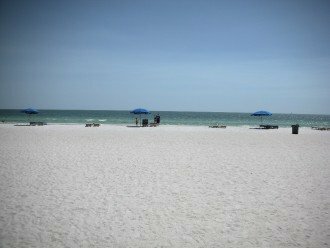 Walk to restaurants, bars, ice cream shop , bird sanctuary, and more! 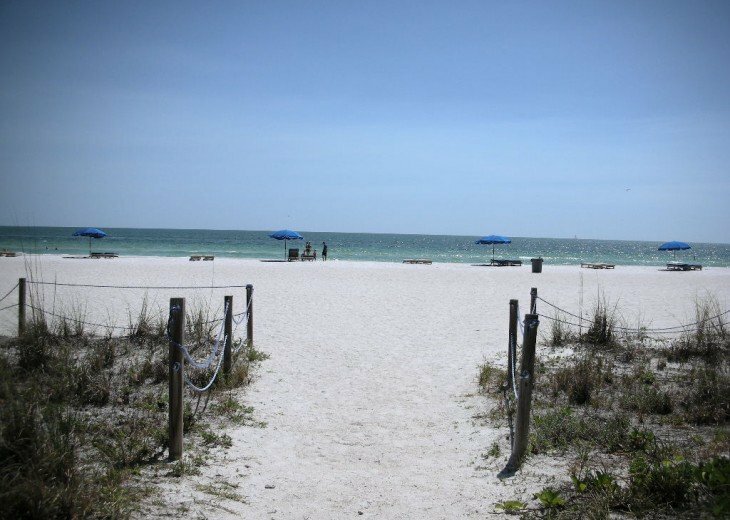 White sandy beach awaits you.